This article continues the discussion in the article posted here earlier, Is the US Department of Justice Secretly Permitting Local Law Enforcement & the Military to Assault American Citizens Using Covert Directed-Energy “Non-Lethal” Weapons? , and continues to probe the roles of the Department of Justice and the Department of Defense in the ongoing secret/covert use of directed-energy and electromagnetic/scalar/sonic weapons on Americans. 5), Information disclosed and withheld on FOIA requests from this writer. Classified research as we know has been pursued in many areas by the Department of Defense and by Intelligence agencies for decades. The pursuit of research into Electromagnetic weapons, which seems to have begun much earlier than disclosed (timelines discussed further below), and into “bio-effects” of these Directed-Energy Weapons surfaced briefly into mainstream reportage under the label “non-lethal weapons,” started to be presented to the Department of Justice, and continued in classified streams as the DOJ began joint research projects with the DoD in the mid-’90s. Notice of these joint DoD/DoJ military research projects in non-lethal Electronic Warfare weapons technologies including EMF and ELF weapons via Memoranda of Understanding and Technology Transfer conferences has been marked by secrecy. Indeed, since the early ’90s, secrecy and classification has been avidly pursued, as evidenced in the closed/classified/non-public nature of conferences, starting with the military Los Alamos-sponsored Conference in 1993 where University and military scientists met with the Department of Justice at Johns Hopkins University Applied Physics Lab to unveil and present new technologies for potential Law Enforcement use. Ironically, this tending to conference secrecy occurred directly after an earlier, 1986 Attorney-General’s Conference on Less than Lethal Weapons, when a report declared secrecy undesirable: “The nature of weapons to be tested and the necessity for the tests must not be a secret of the kind whose ‘leak’ would result in an exaggerated expose and associated public outcry.” In the same breath however, the report noted that several advances had been made in military research and that these advances would be classified, and recommended that the Department of Defense, being well-suited technologically, should be the ones to develop the less-than-lethal weapons technologies. Please note here that the Department of Justice essentially declared in 1986 that two kinds of non-lethal weapons were on the table for further development and testing in joint DoD/DoJ programs: one, open-domain non-secret non-lethal weapons, and two, advanced, military, classified and secret non-lethal weapons. The very fact that, post this statement in 1986, all future such non-lethal-weapon technology-unveiling conferences for the DoJ were classified suggests, in Dr. Begich’s estimation, that the true extent to which military technologies in this area had already advanced were only later realized. What were these secret, classified, non-lethal weapons? 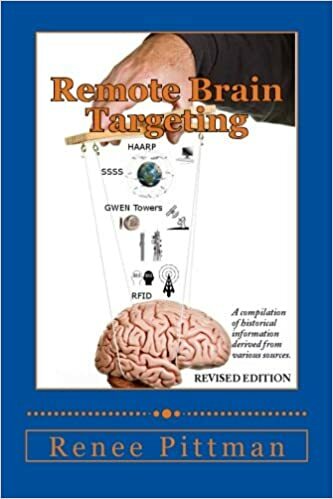 We learn from that 1986 conference, other conferences, papers, and military documents (covered further below) that they were Remote Control neuroweapons and directed-energy weapons using radiation, they were aimed at attacking the brain and nervous system, they were radio frequency weapons, ELF–Extremely Low Frequency weapons, and others, modifying brain and behavior (Mind/Behavior Control), they were Remote EEGs (Electro Encephalograms) and EBLs (Electronic Brain Links), deciphering brainwaves (Mind Reading, Neuro Crime), intimately identifying and surveilling body systems and organs via electromagnetic resonance signatures, DNA, radar (Biometric Surveillance/Through-Wall Surveillance/Radar Surveillance), and damaging the human body via targeted RF/microwave radiation “deposited at organ sites”. What about the classified domain? This ELF-generation was related to ionospheric heating and found later expression (that is ongoing, as surmised by many analysts) in HAARP’s construction and many uses. The main takeaway here from looking at Brezinski’s policy advice in 1970 is that Secret Warfare via Secret Technologies was being contemplated, on large populations. The point that this article seeks to emphasize is that, in military advancement of this Secret, Classified, “non-lethal” EMF/DEWeapons/Mind & Behavior Control Neurotechnology research, as opposed to research of any other kind of “lethal” weapons, is that the Department of Justice was clearly quite early involved in keeping tabs on this Defense research, on making use of this research, and in supporting and promoting the joint use of this Defense research and these weapons. This point is not made in previous (and scanty) media coverage of the “riot control” weapons presented as the “non-lethal” weapons in the DoD’s—and DOJ’s arsenal, and is a vital one to pursue in beginning to understand that the DOJ indeed does have an arsenal of non-lethal weapons it is not openly disclosing, but is currently operating, with military help and co/operation, as part of Domestic Policing–and ongoing Military/Intelligence Nonconsensual Experimentation. It appears in fact that the secret DoJ pursuit of the classified DARPA/CIA/DoD/USAF/NAVY- developed Neuro-technologies of mind control, behavior control, brain modification, and brain monitoring using EMF/scalar/sonic radiation went hand in hand with open-domain pursuit of Directed-Energy radiation weapons for riot control/crowd control, was conducted separately and secretly although referred to openly, as “classified”–and was not questioned in any way or discussed/debated publicly by media coverage at the time. The writing was on the wall, it seems, back in 1993—and our corporate mainstream media never thought to ask why the DoJ should or would want to pursue the development of secretive, classified military Neurotechnologies in EMF/scalar/sonic arenas—when the DoJ is supposed to be concerned only with publicly-understood Local Law Enforcement, and the Military is supposedly confined to Defense (not Offensive Attack) of local populations through Deterrence of foreign enemies. In fact, two points must be re-iterated here: The Department of Justice has shown early interest in the electromagnetic technologies of “Non-Lethal” weapons—ostensibly for crowd control and riot control–for Law Enforcement use, and the Department of Justice also began, in the ’90s, to avidly pursue a policy of secrecy and classification, in respect to other, “classifiable” Non-Lethal weapons, in line with military advances and classifications, all to do with the use of radio/microwave/other EMF/sonic technologies as affecting the human brain, the human nervous system, the human mind, and human behavior. All completely uninhibitedly, without public disclosure, without public or Congressional debate or enquiry, without public or (recorded) Congressional consent. In the case of non-lethal weapons, the DoD was not merely sharing already-created technology–although, given the sophistication of the technology aired in conferences, Dr. Begich notes much may have been developed already–it was working openly with the DOJ in the creation, production, and joint-use operation of these weapons, for very specific uses. The potential for use of these invisible electromagnetic technologies in secret warfare “so that the victims do not know where the attack is coming from, or even if there is an attack” is discussed and recommended for attacks on “terrorists and drug traffickers” by a Council of Foreign Relations report titled Nonlethal Technologies: Military Options and Implications/Report of an Independent Task Force Sponsored by the Council on Foreign Relations, Chaired by Malcolm Wiener, June 22, 1995. Presumably, in this CFR configuring, these terrorists and drug traffickers are fair game, both for secret attacks on their person, and for attacks with electromagnetic technologies which can invade, attack, modify, and destroy (silently and secretly) their bodies and brains. This same report notes that electromagnetic signals cannot be broadcast into another country—a “sovereign state”–without consent in peacetime, as per the Nairobi Convention, to which the United States is a signatory. Is the terrorist or drug trafficker the primary target then, of these technologies? Or is that a cover story for “domestic adversary”–those “who have committed no crime but whose activities we (the military) wishes to stop”? Are these also the suspected “terrorists and spies” the Patriot Act/now Freedom Act delineates—the ones the NSA and FBI issue (hundreds and thousands—over 300,000) National Security Letters about, and on whom the secret FISA courts issue secret FISA warrants and open secret investigations? Many of us in the US today are beginning to understand this may indeed be the case, with individuals and activists described as “Targeted Individuals” who report EMF assault being secretly miscast as “Domestic Adversaries” by our newly totalitarian state, in order to self-permit the use of these classified and barbaric body and brain assaulting technologies on them. Notably, the joint DoD/DOJ dual-use research plan led by the Non Lethal Weapons Steering Committee was co-chaired by the Office of the Assistant Secretary of Defense for Special Operations and Low-Intensity Conflict. In further trying to explore how these intrusive radio frequency/mind & behavior control weapons have come to be sanctioned for domestic use on citizens, Dr. Begich notes an International Committee of the Red Cross report in 1994 on chemical and radiation weapons as outlawed for use in war by International Conventions. Specifically the report notes that the Chemical Weapons Convention states that chemical riot control agents, while not being prohibited in use internally as law enforcement, cannot be used between nations as a method of warfare. An important point is being made here, that essentially International Law has failed to protect humanity; these non-lethal weapons, as also chemical riot agents, by this 1994 Convention, are not being prohibited for use inside countries, on domestic populations, by countries’ governments—exactly the situation we are currently faced with today, as thousands of people from countries worldwide report the covert use of electronic weapons on their persons, as also, in large numbers, in the United States of America. Neuroweapons Using Brain-Machine Interfaces Not Prohibited by International Law? Of interest to this discussion is the means by which the domestic use of Non-Lethal weapons on so-called “domestic adversaries” has been facilitated, by the extension of the military concept of “Low-Intensity Conflict” to the domestic sphere. The document Low-Intensity Conflict and Modern Technology, produced on Maxwell Air Force Base in 1986 succeeding a meeting and presentations on these subjects in yes, interestingly, 1984, carries a Foreword by then House Speaker Newt Gingrich. At this Air Force conference, various EMR technologies capable of affecting human physiology, mental functioning, and human behavior were presented and discussed, and urged by some presenters, including one Captain Paul Tyler (cited below) to be further pursued for use in low-intensity scenarios. The technologies being referred to in these early documents exploring, reporting, and advocating the use of EMR technologies in the control of humans—whether domestic adversaries—activists, protesters, crowds (the usual group increasingly being marked out today as subjects for warfare) or other—are precisely the technologies being reported as operative on their person by thousands of individuals in the US today, and globally, efforts to disappear whom have been exerted continuously by the apparently-operative Global Totalitarian State, using the psychiatric profession, the government-propaganda-spewing corporate media, and the label “Targeted Individual”. Since this community-corralling phenomenon has been discussed elsewhere on this site—here, and here—suffice to say here that the secret use of invisible, and deadly EMF Neurotechnology weapons by joint Dod/DoJ operatives—via Fusion Center, Joint Task Force, JTRIG, and Local Law Enforcement initiatives—in neighborhoods, with neighbors, on neighbors, serves to fill the playbook of Secret Terror: a Secret Police, operating in secret, on certain targeted individuals, who are cast as undesirable, much in the style, historically, of Jews, gypsies, and others in Europe by the Nazis, or witches by the Puritans in Salem, or political dissidents in the USSR, China, Cambodia, elsewhere. We are speaking here of American neighborhoods. American neighbors. American communities. An American Secret Police. Disappearing the witness, as we all know, is classic criminal procedure, and disappearing the witness via psychiatric misdiagnosis is classic Red Terror practice. Yet we are speaking of the United States Department of Justice. “Fast forward to today, we have over 300,000 people in the United States voicing complaints of electronic harassment which includes directed energy attacks and synthetic telepathic harassment. It sounds unbelievable at first until you delve further into the complaints and history of the technology. “John Mitchell was the Attorney-General during the Nixon Administration. His wife—Martha Mitchell—told her psychologist that top White House officials were engaging in illegal activities. Her psychologist labeled these claims as caused by mental illness. Ultimately however, the relevant facts of the Watergate scandal vindicated her. In fact psychologists have now given a label—the “Martha Mitchell effect”—to “the process by which a psychologist, psychiatrist, or other mental health clinician mistakes the patient’s perception of real events as delusional, and mis-diagnoses accordingly”. Many Americans report that reporting these abuses—and the experience of remote electronic harassment–to the local police station has led to them being forcibly evaluated by a psychiatrist or forcibly committed to a mental institution. The unnerving fact that our fusion centers and local police are fully complicit and part of this scenario as they turn a blind eye to reports of peculiar stalking and surveillance scenarios in neighborhoods by reporting individuals may be ascertained by non-committal responses to FOIA requests for information such as this one, in Massachusetts, by this writer, where it is evident that reports of highly suspicious and patterned vehicular speeding, parking, and entry/exit in the writer’s neighborhood elicit absolutely no concern or interest. Earlier attempts to ascertain inventories on non-lethals being permitted on the streets in Massachusetts met with this refusal, with “public safety” being cited as reason, even though a law currently exists in Massachusetts, that prohibits the use of electronic weapons in electronic harassment actions on residents. 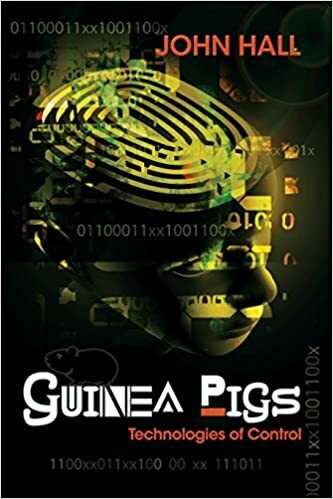 Indeed, there is extensive information today on the patents used in these neuro-technologies, and information too on these technologies from ex-CIA, and DoD/Navy scientists who helped develop them. What Has Been Published About These Classified Technologies? 3) the enormous work of researchers such as Renee Pittman Mitchell, Dr. Nick Begich, Tim Rifat, and others, who are publishing their work in books, articles, and podcasts. There is no mistaking from these accounts, that these are Remote Brain monitoring/ influencing/ modification technologies, Remote Body accessing/influencing/assaulting/damaging technologies, and that they involve the determination of individual electromagnetic signatures for brains and hearts, individual bio-resonance signatures for nerves and organs, and carry in their intentionality research on Neural Interfaces, Electronic Brain Links, EEG Cloning/Heterodyning, Mind Hiving, and other such. Some of these scientists include: Dr. Robert Duncan, Dr. Richard Alan Miller, and Dr. Barrie Trower. Please see their books, essays, video/radio interviews, and talks for more. Examining these documents, Dr. Begich wrote in 2006—one decade ago–that “The advances in wireless transmission of energy for these kinds of weapons has reached the stage where we could see them being used in the coming decade.” It is 2016 now, and thousands of Americans, Europeans, and Asians are reporting that these weapons are indeed being used, on them, without consent. This DOJ report went on to remark research in the use of highly specific EMR frequencies to affect specific physiologic systems and obtain specific effects, the use of ELF to produce nausea and disorientation, sleep and confusion, and the possible use of wirelessly-transmitted energy to achieve similar effects from afar. The current public stance offered by the DoJ and by police departments therefore, that “non-lethal” options represent pepper spray and rubber bullets alone, is disingenuous at best, and, on its face, openly deceiving. Note that the Department of Defense assists in maintaining this deception—this response of absolute ignorance of Neurotech DEWs by General Michael Hayden, as questioned by activist Tyrone Dew, should be both eye-opening and a tragic commentary on the open deceit being practiced by the military. There are many questions to be asked here. What is the purpose in keeping this research and these technologies secret, when thousands are reporting being experimented on/assaulted by these technologies? What is the purpose in the DOJ keeping its arsenal of non-lethal weapons being used by Local Law Enforcement/joint Military action secret? What is the purpose in maintaining the euphemistic label “Non-Lethal” when lethality is ensured by repeated use, and when severe damage to the human brain and body—of non-combatant, arbitrarily-designated “domestic adversaries”–is an intended result? What is the purpose of the Department of Justice permitting and engaging in the Covert Assault of thousands of Americans with undisclosed “Non-Lethal” weapons – when none of these Americans have a criminal record/or are engaged in any criminal activity, nor can be lawfully charged with a crime and/or openly arrested/indicted/convicted? Which seems to mean they will prop up the military-industrial complex (in times of peace? ), create work for the makers and users of high-tech electromagnetic neuroweapons, and give police (and DHS?) a new set of weapons to try out on the local populace, under cover of surveillance in the name of National Security: deadly and covert New Age neuroweapons, making make-work for the immense and useless network of security and intelligence and policing agencies that is the current security state. Please see GQ‘s recent article on the New York Police Department using X-Ray Backscatter Technology on New Yorkers: The Future of Policing is Here and It’s Terrifying. “Departments large and small are using a host of new gadgets—from laser light weapons that can induce vomiting to surveillance systems that can predict crimes before they happen. These are terrifying crimes against humanity that must be exposed, written about, and widely published, if they are to be prosecuted and terminated, as they should be. The self-sanctioning of covert policing operations by the US Government on its own people, the use of the US Military in covert offensive actions against the people in its own country, the people it is charged to defend, and the use of deadly weapons that use sophisticated radiation and plasma technologies to damage and degrade the bodies and brains of human beings/American citizens and residents are all reprehensible, completely unethical, amoral, and really quite incomprehensible. We don’t seem to be living in a sane or “civilized” society anymore. Everyone who has experienced the covert assaults on their bodies of these deadly radiation weapons will tell you that “non-lethal” is a complete and absolute lie, that these weapons are barbaric and inhumane, and they are being used–24/7, non-stop harassment and assault–in a pathologically insane way by the covert cartel of Law Enforcement, Defense, and Intelligence agencies who have permitted themselves the Neolithic privilege of assaulting their fellow-humans, under “legal” cover from the Department of Justice, the Department of Defense, and various spurious laws and Executive Orders. Americans: we need to wake up. Secret Policing and Secret Assault are the hallmarks of dictatorial fascist totalitarian regimes. The SS is not here, dragging people out by their necks into the middle of the street and hitting them with the butts of rifles. No. But something far more sinister is taking place in our midst. All over the USA–and the world too, now–Secret Police, completely assisted by local communities, and the lies of community psychiatrists, are pointing, shooting, and assaulting innocent Americans, activists, writers, indy media bloggers and journalists, and whistleblowers, with radiation–microwaves, radio waves, infra-red rays, millimeter waves, X-rays, scalar waves–issuing forth remotely from Directed Energy Weapons, designed to incapacitate and injure their bodies and attack and destroy their brains. They are Doing this secretly and Denying it publicly. These are methodologies of Mass Control and Individual Control. They are also mechanisms of repression and a gratuitous display of power. Is this acceptable? One might well ask: How can this be happening in the USA? I appeal to every American reading this to examine your conscience and, if you are already assisting in this program, make the moral decision to stop being a party to this incredible violation of human rights and humanity; if you are just learning about this atrocity in our midst, please make every effort, within your own field of influence, whether as a physician, attorney, journalist, writer, thinker, professor, police officer, Intel or military officer, Sheriff, or any other, to step out and take a stand against this crime: make your voice heard. Covert radiation neurotechnology–electronic weapons–and brain hacking in neuroscience, advances in Artificial Intelligence and cybernetics have brought us to a new page in history, as a species, and it’s up to each of us to figure out if we want to assist in the extinction and/or enslavement of humanity, or otherwise. Because that is absolutely where this kind of Secret Policing is headed. My own feeling is that ultimately, it’s our fellow feeling for each other alone that can make a difference, and a personal awakening each to our own light, our own powers of feeling, our own ability to see, reason, and think for ourselves, our unique individuality, our own powers of expression, that will give us the moral courage to speak out in these times, to take a stand, to say No–all of this is what “They” are striving to take away from us today. Part One: Is the US Department of Justice Secretly Permitting Local Law Enforcement & the Military to Assault American Citizens Using Covert Directed-Energy “Non-Lethal” Weapons?